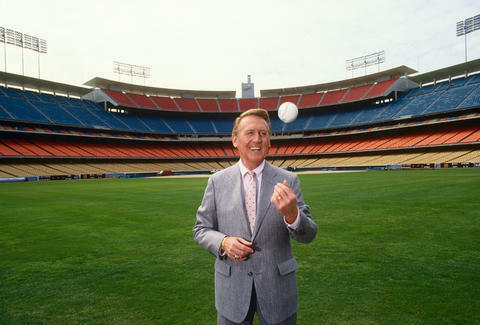 Vin Scully is seemingly as much a part of this city as, well, just about anything: he's been the Dodgers' broadcaster since they moved to LA in 1958, which means that even if you were in your 60s you wouldn't remember the Dodgers without him. His final game is coming up this Saturday, which is why we partnered with MLB.com to bring you some of the great farewell videos they've shot of and with Vin this season (they're also counting down his Top 20 calls of all-time -- all of which you can see right here). 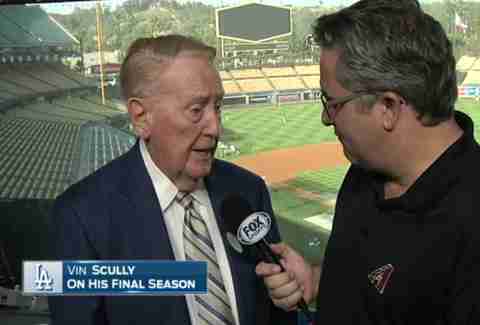 It all started here, and you should too: a lengthy tribute video that addresses just how incredible Scully's legacy has been not just for the Dodgers, but for baseball and Los Angeles. A short video in which a member of the Diamondbacks' broadcasting team compares talking to Vin to taking a meeting with the Pope. And, of course, leaves with a signed ball. "I just want you to know how much I really care for you," Vin says, and clearly means it. It's short, it's awesome, and the money-shot is above, although it's worth watching to see Magic Johnson's glee as he holds the Scully mask. 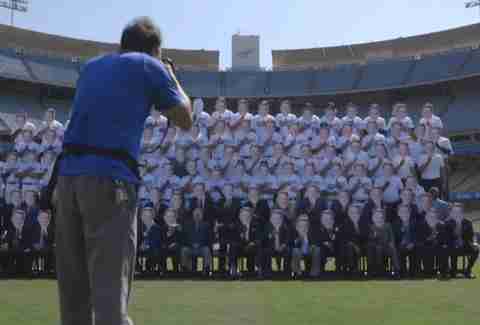 A phone interview edited with shots of fan tributes, awards ceremonies, and the Vin Scully street sign. They give him part of the Cubs' scoreboard. Seriously. 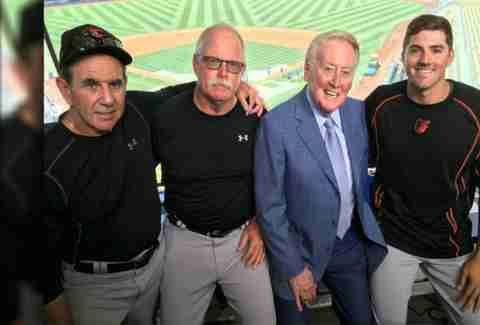 Jeff Miller thinks that Vin will return for a playoff game as a surprise. You heard it here first. Find out if he's right and then call him out on Instagram or Twitter.